When it comes to design, it’s often the small details that make the biggest difference. The liftgate is one of those details. Today, liftgates are an essential part of just about every transport truck model on the market. They work by lowering to ground height and providing a platform on which freight can be placed. The liftgate then automatically raises the freight to the height of the cargo area, allowing for things to be loaded with ease and without the need for a forklift to raise items up. This concept is one enjoyed by countless shipping companies today, but its origins actually date far back to the year 1918 and a man named William C. Anthony. William C. Anthony was born in 1980 in Peoria, Illinois. He went on to earn his Bachelor’s of Science in Mechanical Engineering at the University of Illinois, which would help him turn his inventive ideas into marketable products. However, he didn’t get started on his most brilliant invention right away. 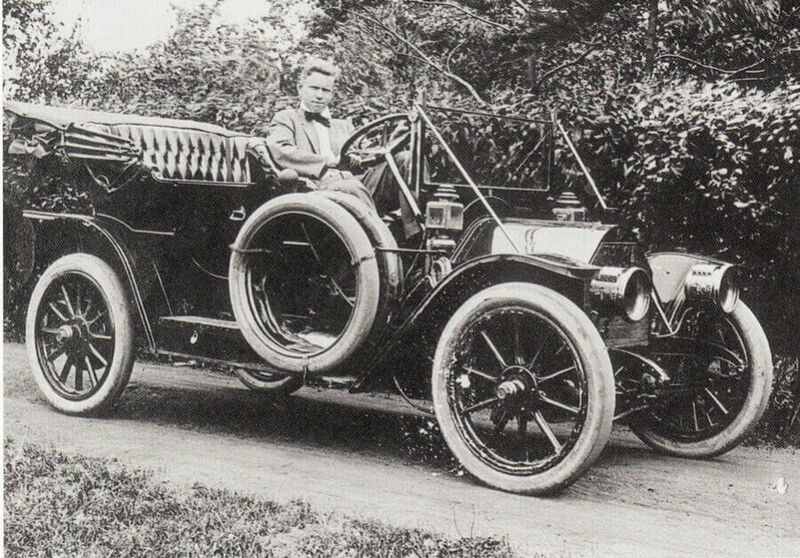 From 1912 to 1917, William took up a job in Chicago as a salesman with White Motor Company. When he realizes sales isn’t his calling, he returns to Streator, IL where he takes a job at a lumber yard. But, his career in the motor industry was far from over. It was while working at the lumber yard that William had an idea that would change his life, and the history of commercial vehicles, forever. 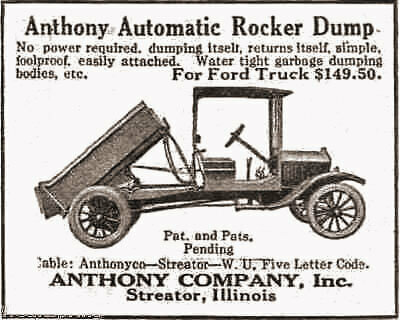 He suddenly begins designing a dump bed that can be attached to a Ford Model T, the best-selling car model of the time. He begins making early production units, and things sell out fast. He incorporates Anthony Company and moves production of his design to a larger facility across town. In 1919, William’s impressive idea wins him a contract with the Ford Motor Company. He’s no longer selling an after-market accessory, now Henry Ford himself is paying him. But, things get rocky. Although he works under contract for some time, shipping his design to Dearborn, Michigan where they are fitted on Model T’s before leaving the plant, William and Henry Ford have a disagreement. In 1926, after seven years of working together, Henry Ford pressures William to release the production prints of his design. William refuses, and Henry tells him he will go broke after severing the relationship with the company. Fortunately, Henry was wrong. William knew his idea would prove successfully. He already had a design that was selling across the country, and he knew that, if Ford wanted the production prints, it must be ready get even bigger. Rather than giving up or giving in, William chooses to stop working with Ford and instead sell his design to distributors. Ultimately, this decision would make William a rich man. What proved William’s idea to be successful was that he never stopped improving it. Between 1926 and 1938, as sales continued to grow exponentially, William began experimenting with hydraulic systems. 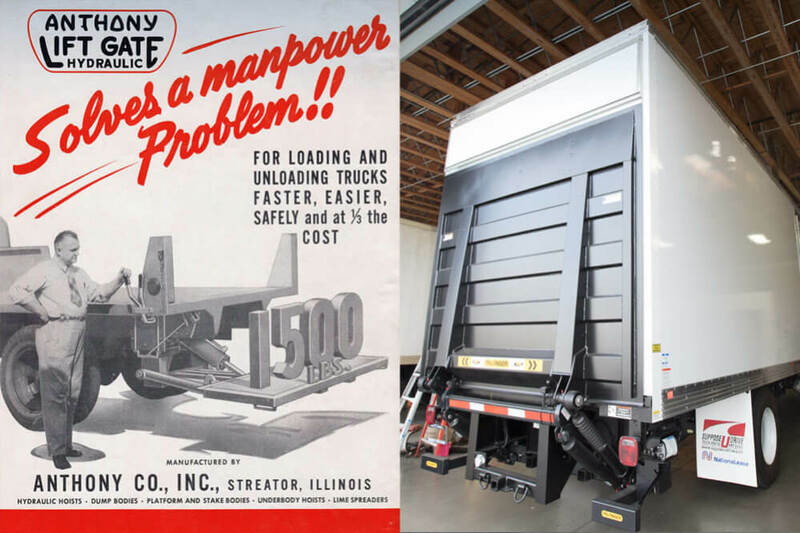 This innovation contributed to continuing growth at his company, and Anthony Company Incorporated quickly became a hefty player in the realm of transportation equipment. However, it was in 1939 that the first real step was made to developing present day liftgates. 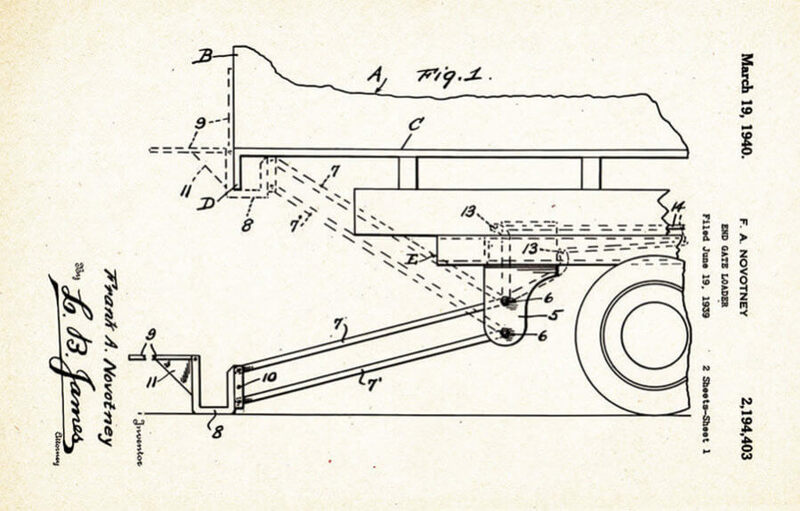 The “End Gate Loader” design was conceived that would turn the early invention into a modern necessity, but William didn’t come up with this one on his own. Instead, plant manager Lawrence Walker was approached by a service manager at a local Ford dealership. Frank Novotney told Lawrence he had an idea about a truck lift that could propel the company further forward. William assisted him in turning the idea into a working machine. The design could be affixed to any truck’s rear, making it the first “universal” after-market truck accessories produced by the company. 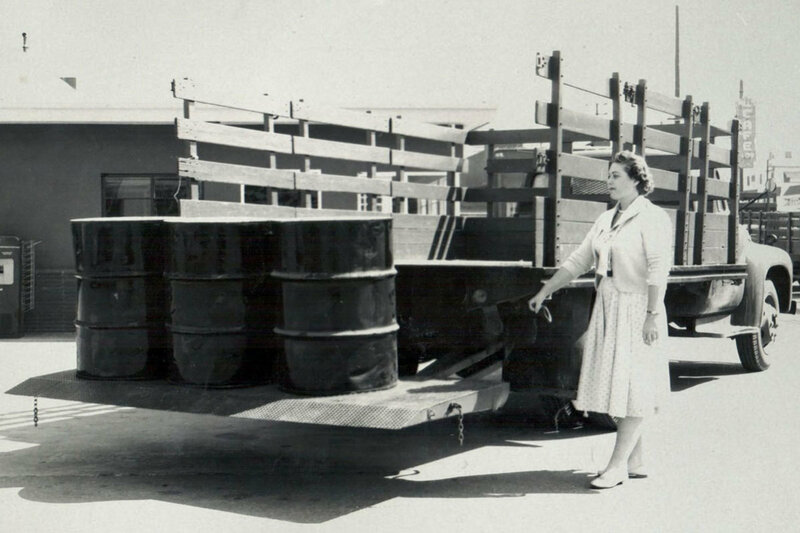 After design is finished and production begins, William chose to market this new loader with the trademarked name “liftgate” in 1941, officially coining the term that now thousands of companies use. Frank Novotney, the service manager who approached him with the idea, was given a royalty for each liftgate sold. An early SupposeUDrive liftgate from the 1950a. 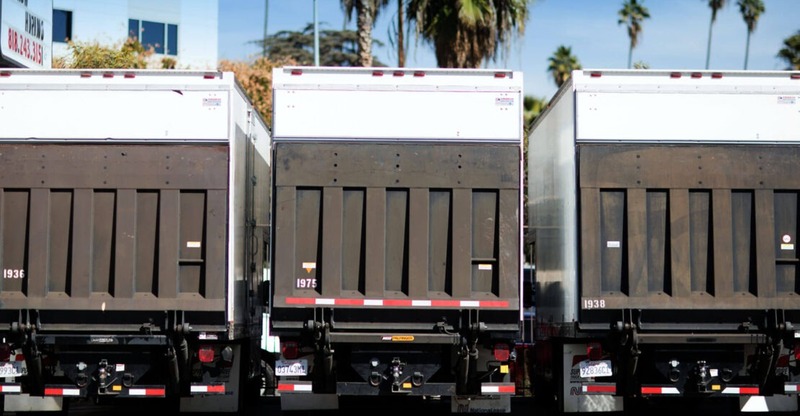 Today, liftgates continue to be an essential part of the transportation industry. Nowadays, the greater majority of truck models have a liftgate built in. However, there are also plenty of after-market models being produced by various companies around the world. Although the technology used in this equipment has been continuously changed and improved throughout the years, the concept remains entirely original. A person shopping for a liftgate today has a host of options to choose from, including various sizes, various height/lift settings, and various weight capacities. Anthony Liftgates remain one of the best selling brands today, followed by competitors: Tommy Gate and Maxon Lift. A variety of other companies also produce liftgates. Liftgates differ from ramps in that liftgates are automated, with hydraulic-powered moving parts. A ramp, on the other hand, is simply pulled out of the truck manually and positioned for people to take cargo up and down it. Both have their purpose, but liftgates are considered the much more effective and preferred option, and their sales are quickly out-pacing ramps as the demand for quick shipping solutions grows. When not in use, liftgates fold up to cover the bottom portion of the truck’s door. 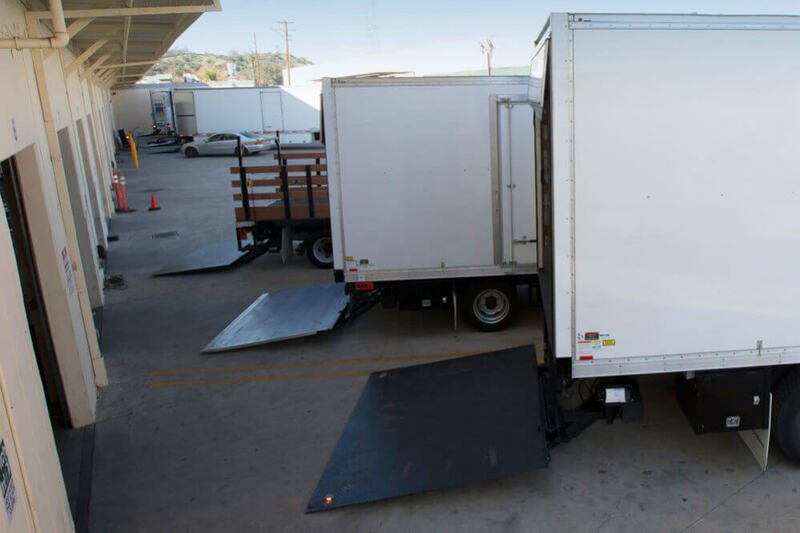 For large semi-trucks, the liftgate is typically able to hold a significant amount more when it comes to loading capacity compared to the liftgate that might be equipped on a smaller transport truck. If you’re looking for a transport vehicle with a built-in liftgate, Suppose U Drive has you covered with a variety of styles and options to choose from. 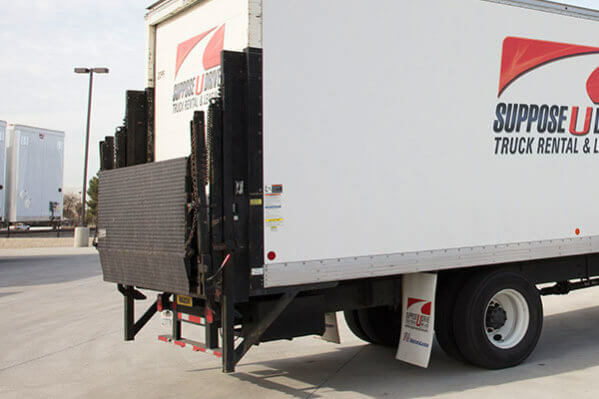 Our trucks have Maxon and Palfinger brand liftgates pre-installed and always properly maintained to make transporting, loading, and delivering that much quicker and easier. TuckUnder Series: Designed to retract underneath the truck bed, this is one of Anthony Liftgate’s best-selling designs. This allows for full access to the door without needing to lower the liftgate. Five models are included in this series, each designed for different uses. RailTrac Series: The basic models in this series are manually lowered up and down using chain-driven units. These models are best suited for light and medium-duty usage, however, Anthony Liftgates also has the Magnum RailTrac series, which uses hydraulic drives. These two series highlight the majority of liftgate designs currently on the market. 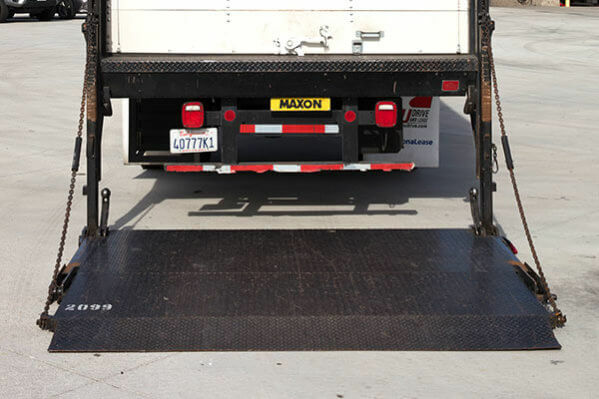 Some other competitors also offer “stow-under” designs that don’t block the door when not in use, but the most commonly seen design is similar to the RailTrac series in that it covers part of the truck’s cargo door when not being used. For instance, Maxon Lift offers a “Tuk-A-Way” model and a “Railift” model. Liftgates are also available for consumer equipment, and they are often used by small-job contractors and drivers who use their truck to haul a lot of heavy equipment. The features typically overlap between commercial and consumer liftgates, but consumer liftgates tend to have a lower weight capacity due to lighter-weight designs that make them more portable and appealing for the average consumer buyer. Liftgates have come a long way over the past century. Liftgates have come a long way in the past 100 years or so, and changes are expected to continuously be made as new and better equipment comes out that allows for lighter weight designs, bigger weight capacities, and faster loading. These changes may also help contribute to bringing down the cost of liftgates, which can make them more accessible to after-market purchasers and companies who want to equip their trucks with liftgates right out of the factory door. Manufacturing and research of new materials that will make for a lighter weight liftgate design, contributing to better gas mileage along with easier installation and on-going maneuverability. New design components and materials to increase the strength, weight capacity, and wear/weather resistance of liftgates. Research into improved designs that allow out-of-the-way storage and wider loading applications, even in tight spaces. Due to their convenience, it’s expected that “tuck-away” systems will continue to grow in popularity as the older rail designs fall out of usage. This is because rail designs, which partially block the truck’s cargo area door when not lowered, add another step to the process when a driver or another authorized individual may need to check on the security state of the cargo. For example, if a truck were to break down with climate-sensitive cargo in the back, the liftgate would need to be lowered quickly so things could be transferred to a climate-controlled environment. There are also countless other cases when a driver or authority may need to inspect cargo, and the rail system delays the process or prevents them from doing so. There have been occurrences where equipment malfunction have prevented the liftgate from working properly, delaying delivery or loading. 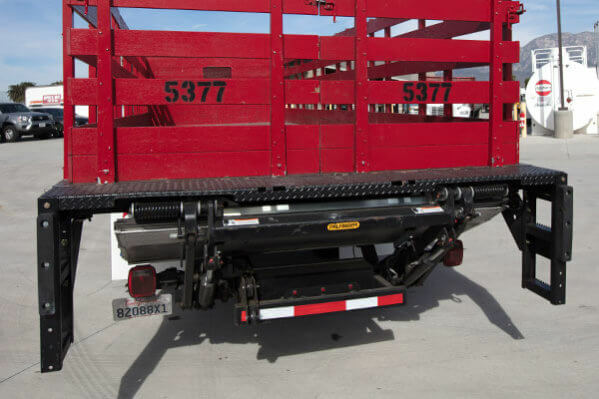 All of these problems are addressed right away by tuck-under systems that put the liftgate out of sight, and out of the way, when it is not needed. 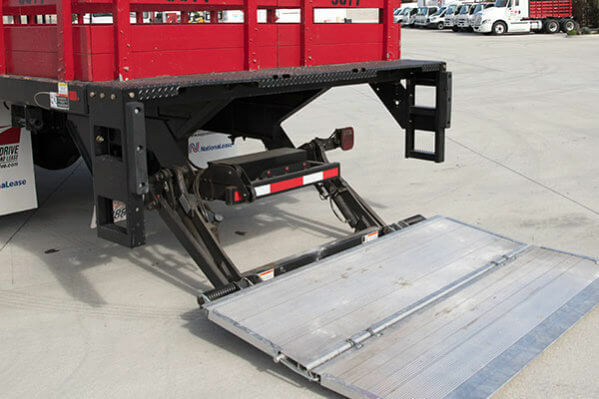 In the case of an equipment failure, a tuck-under liftgate also allows a secondary system (such as a fork lift) to be brought in instantly, without having to fight to get a rail-liftgate out of the way, which could mean taking it completely off in the event the truck needs to be backed up to a loading dock. With that in mind, multiple advancements are expected to be implemented in the coming years in an effort to continue improving the line of liftgates currently being offered by companies.